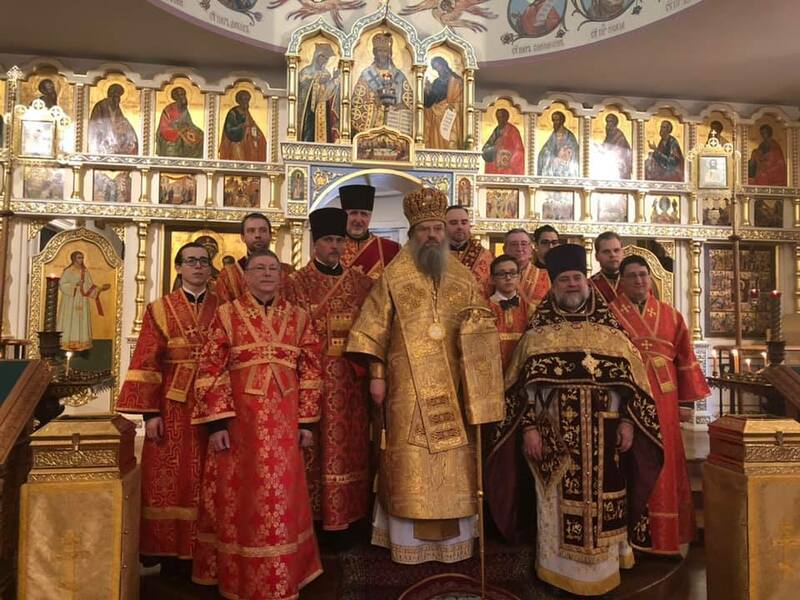 On February 11, the Sunday of the New Martyrs & Confessors of Russia, with the blessing of Metropolitan Hilarion of Eastern America & New York, Metropolitan Luke of Zaporozhye & Melitopol celebrated Divine Liturgy in the Synodal Cathedral of the Sign in New York City. His Eminence was co-served by cathedral clerics: senior priest Archpriest Andrei Sommer, Protodeacons Nicolas Mokhoff & Vadim Gan, and Deacon Pavel Roudenko. Singing at Liturgy was the Synodal Choir under the direction of Peter Fekula. Most of those praying communed of Christ’s Holy Mysteries. Upon conclusion of Liturgy, Metropolitan Luke addressed the faithful with a sermon in which he spoke about the situation facing the canonical Ukrainian Orthodox Church. A reception for the honored guest was held in the cathedral hall.